Need more information about booking Home 4635885 ? Modern 2 bedroom bungalow annex featuring large hall with storage facilities for walking boots, a living area comprising lounge, dining area and kitchenette, and a large family sized bathroom. The main bedroom has plenty of space for a cot which we can provide as required. The second bedroom is a twin or rearranged to make a further double. The annex features a private patio area ideal for barbecues and a small garden area. This Bungalow has 2 bedrooms, 1 bathroom and sleeps 4. It’s been listed on Holiday Lettings since 04 Jul 2014. 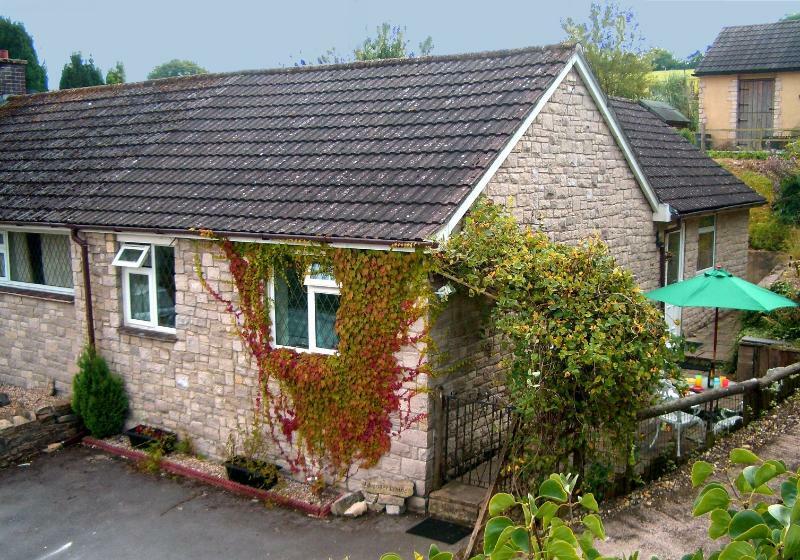 Located in Dorset, it has 3 reviews with an overall rating of 3.5. The average weekly rate varies from £287 to £573. The Owner has a response rate of 80% and the property’s calendar was last updated on 30 Mar 2019. What a gem of a place. Found it looking for a bargain getaway and it far exceeded our expectations. We really enjoyed the settings and facilities there. Was a great location for exploring all round the area close enough to beaches and other attractions. Shame local pub is closed but a short drive away gets you some excellent food. Highly recommend this place. You can get in touch with Anne-Marie (the owner) through the contact form on this page. Send Anne-Marie (the owner) an email through the contact form on this page. Alternatively, if there’s a phone number on this page, you can call them. How do I contact Anne-Marie (the owner)? If you’ve already booked, go to Manage your holiday booking to view Anne-Marie the owner's contact details or send them a message. Or send Anne-Marie (the owner) an enquiry through the Contact the owner/manager form if you’d like a quote or more info first. When you pay online through the Book your stay form, a booking request is sent to Anne-Marie (the owner). You’ll find out within 24 hours whether they’ve accepted - no money will leave your account before then. You can also request a quote from Anne-Marie (the owner) through the contact form. The owner will email you the total cost for your dates and a link to book and pay online. Use the Book your stay form to pay provisionally online. You can pay by credit/debit card or PayPal. Anne-Marie (the owner) will have 24 hours to accept the booking and no money will leave your account before then. Why can't I call Anne-Marie (the owner) before booking? You’ll need to contact Anne-Marie (the owner) to do this. Send them a message in Manage your holiday booking or through the contact form on this page. You can request to change the dates or number of people on your booking via the Manage your holiday booking page. To change your holiday dates use the Edit booking button. If you need to change the number of guests staying then send Anne-Marie (the owner) a message. If Anne-Marie (the owner) agrees, they’ll send you a revised quote outlining the changes. You can review and accept/decline this from the Manage your holiday booking page. You’ll have 48 hours to take action before the revised quote expires.